Kym Kochis counsels insurers on a wide range of litigation and corporate governance matters and advises clients facing government inquiries and investigations. Her extensive knowledge of the insurance industry provides for deft representation of insurers opposing complex class action litigation. 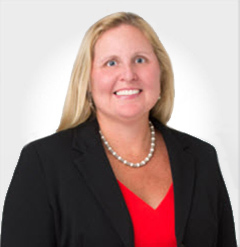 She regularly handles matters involving unfair trade practices, consumer fraud, antitrust, ERISA and policy coverage issues, as well as complex breach of contract and tort claims. Read Kym Kochis’ full bio here.